The birth of a book festival! Ann Landmann, founder of Cymera: Scotland’s Festival of Science Fiction, Fantasy, and Horror Writing, joins us to talk about the organisation, this year’s amazing highlights, and why you should come along to Edinburgh to check it out. Ann Landmann has been working in books since she was 19. With an undergrad in Book trade and Publishing, she joined Blackwell’s Edinburgh, first as the buyer for the schools department, and then as the Events Manager. After nine busy years of events big and small, she recently changed sides and now works for Edinburgh-based publisher Berlinn Ltd as a sales representative. As a self-confessed book festival addict, she decided to set up Cymera: Scotland’s Festival of Science Fiction, Fantasy, and Horror Writing to fill a gap left by other literary festivals. 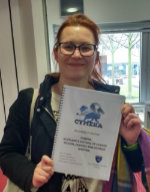 Cymera grew quickly from an idea over a cup of coffee in September 2017 to a 120-page business plan for her Masters’ dissertation to a three-day festival with over 70 authors in June 2019! Authors! Want us to plug your book? We might be enticed to do so for some reciprocal linking and things, so please contact us through this website or drop us a DM on our Twitter. Go to Cymera Scottish SFF Festival official programme for the full lineup. There are concession tickets for those under 26, librarians, or booksellers, or those of low income. Or, you can volunteer. Also many free areas in the venue to soak up the ambience. Link for all get involved info for writers, publishers, volunteers, open mic spots, etc. 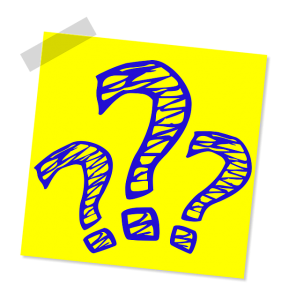 Society of Authors website for guidelines for authors on whether you should work for free.